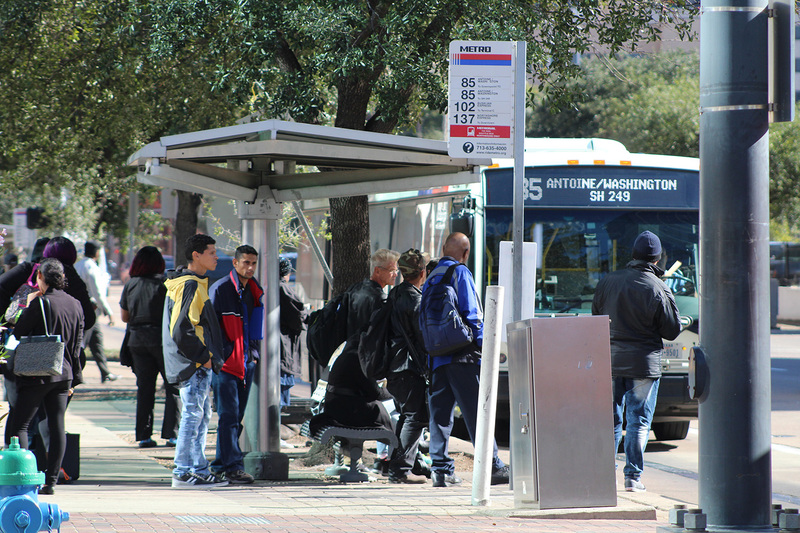 Houston's bus overhaul, planned for years but rolled out literally overnight in 2015, has led to an increase in bus ridership, bucking state and national trends. Many are taking notice. HOUSTON — Chase Floyd stared at his smartphone and happily ignored the traffic conditions around him on his way home from work. He sat near the front of a Houston METRO bus that zoomed along Route 20 toward this city’s booming Galleria neighborhood last week and talked about taking transit rather than one of his two cars to his job downtown. “It’s a hell of a lot easier,” said Floyd, a trainer in the financial advising industry. 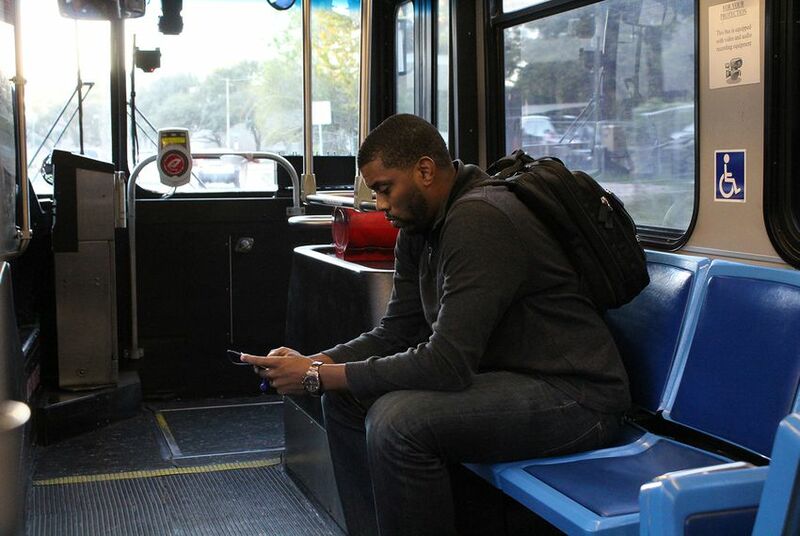 He’s among scores of Houstonians who rely on the regional transit agency more frequently since it dramatically retooled its bus routes and stops last year. That massive overhaul decreased the amount of wait times between buses and simplified route geography so maps were easier to understand and read. The changes, planned for years but rolled out literally overnight, initially brought scores of questions and confusion from regular riders. But in the first 10 months since the overhaul, Houston has bucked state and national trends and seen an increase in bus ridership. “People responded very well,” said Kurt Luhrsen, METRO’s vice president of planning. The agency’s average monthly bus ridership rose 3.3 percent in the 10 months after the change compared to the 10-month period before. That represents more than 175,000 additional bus passengers. Meanwhile, average monthly bus ridership increased half a percent on Austin’s Capital Metro and decreased by that much on San Antonio’s VIA Metropolitan Transit during the same period. Decreases were more dramatic in some other major Texas cities: Dallas Area Rapid Transit’s average monthly bus ridership decreased 4 percent, and El Paso’s Sun Metro saw a 5.2 percent decline. Some of the state’s urban transit agencies are exploring or already planning major overhauls to their bus networks, though none of those The Texas Tribune reached are yet committed to an overnight wholesale change like Houston METRO implemented. Boosting bus frequency and simplifying routes can make economic sense: An uptick in riders can increase the portion of a transit agency's revenues that come from fares, potentially reducing reliance on taxes. But urban planning experts say system improvements can actually have broader, more dramatic impacts on residents’ quality of life, job access and living costs. They say better public transportation, especially in car-centric urban areas like those in Texas, can also help people pull themselves out of poverty. 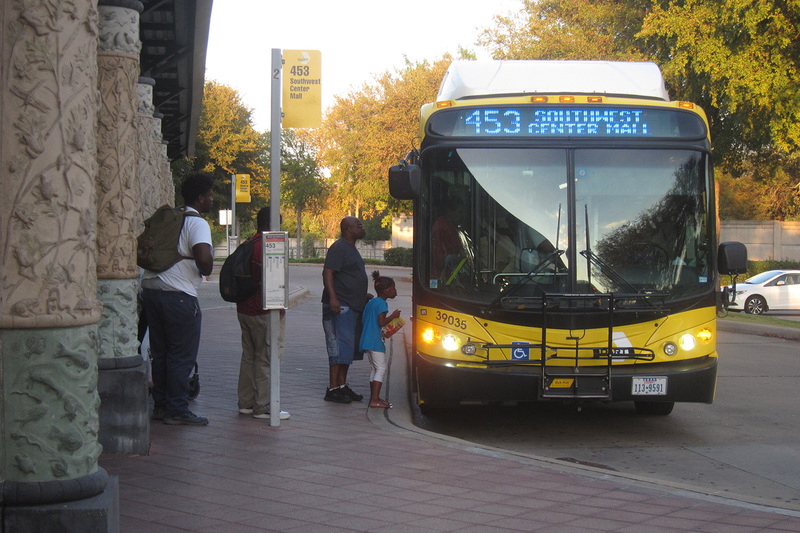 In Dallas, residents’ growing calls for better bus service has led City Council members to put political pressure on the transit agency board members they appoint. Dallas has among the highest levels of extreme poverty in the country. More than half of households earn less than $50,000, their median incomes are falling and more than 80 percent of jobs can’t be reached by public transportation in less than 90 minutes, according to a presentation given to the council’s housing committee this week. In a rare move Wednesday, the council overwhelmingly ignored the recommendation of its own transportation committee and appointed to the DART board an urban planner and transit advocate who lived in North Texas for years without owning a car. Incoming DART board member Patrick Kennedy, who drew national attention three years ago after launching a campaign to tear down one of the city's highways, told council members during an interview that overhauling the agency’s bus service should be a top priority. Despite its relative success, Houston METRO’s overhaul had hiccups and spurred passenger complaints. Longtime METRO passengers Kathy McMahon and Wyndi Tindle changed their regular routes after the overhaul. McMahon’s old stop downtown put her in front of a building where she could walk inside, go through indoor tunnels and then take an escalator to her own office tower. “It let me out and I wasn’t in the weather at all,” she said. Now, she has to walk a block from a bus stop, catch a train and make another outdoor walk to her building. Tindle said her old route into work downtown stopped near her home. After the overhaul, the closest stop is now half a mile away. And it isn’t covered. “No one wants to walk that far, especially without a shelter,” she said. Both women now skip the routes that stop nearest their homes and drive to a stop along Route 20, park in a nearby lot, then catch the bus to work. Two goals that often compete for transit agency resources are coverage, which aims to provide at least some service to all areas, and frequency, which seeks to put a lot of buses in high-trafficked areas. After presenting its initial plans for its bus overhaul to the public, Houston METRO’s board agreed to increase the budget for local routes by 4 percent, or about $12 million, amid criticism that poor residents in the city’s northeast quadrant were losing too much service. Gloria James stood at a bus stop along Interstate 45 and Aldine Bender Road last week and said the changes have made getting around more difficult for her because they require more transfers. Yet the retired restaurant busser still uses the service. She spent part of the day downtown, where she walked around before picking up some groceries and catching the first of two buses back home. “I just felt like getting out,” she said. In North Texas, DART board member Bill Velasco said balancing desires for coverage and frequency can be difficult. His agency has about 652 buses to cover about 11,973 stops, compared to Houston METRO’s 1,235 buses for 9,005 stops. That means that DART has fewer vehicles to work with and that an abrupt overhaul could require buying more buses. But Velasco boasted of a local advantage: DART’s 90 miles of train tracks connecting 62 stations dwarfs all other Texas transit agencies when it comes to rail. And that doesn’t count a commuter rail line connecting Dallas and Fort Worth that the agency co-operates. But, like Kennedy, he wants his agency to overhaul bus routes sooner than the years-long roll-out currently planned. “I don’t know that you necessarily need to spend the kind of money that people think needs to be spent,” he said. As Kennedy was being considered for the transit board, he rode buses around the city and talked to riders. He said that passengers have to mentally store an “amazing” amount of information to be able to navigate DART’s byzantine routes with their different schedules and varying wait times. Many bus routes center on the agency’s hub-and-spoke train network, so they move radially instead of in straight paths. Using that kind of route layout with more uniform frequencies helped Houston METRO simplify its maps, something it attributes to spurring more people to ride buses. “This was one of our big coups,” Luhrsen, the METRO vice president, said as he pointed to a system map last week. Floyd, the financial analyst trainer and METRO bus passenger, didn’t start using public transit because of the bus overhaul. It was merely a choice he made when he took a new job downtown earlier this year. He said he had no problem figuring the system out. And Route 20 isn’t his only way home. Depending on when he leaves the office for the day, he’ll sometimes catch Routes 82 or 151. When friends want to meet up after work, he checks his transit options before committing to driving himself. “I like having so many options,” he said. Some Texans fear President-elect Donald Trump's highways plan will create more toll roads. Advocates say interest in making Texas cities more walkable, as Dallas has attempted downtown, is on the rise — a subtle shift spurred in part by changing demographics and the state’s growing population. In Austin, transportation planners have predicted a toll project will help increase ridership on city buses, which will be able to use new tolled lanes for free and cut time on some routes. Disclosure: Capitol Metro, VIA Metropolitan Transit and the University of Texas at Arlington have been financial supporters of The Texas Tribune. A complete list of Tribune donors and sponsors can be viewed here.